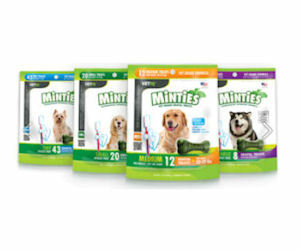 411 Freebies And More: Order a Free Sample of Minties Dog Treats! Order a Free Sample of Minties Dog Treats! Sam's Club members can get a FREE sample of Minties dog treats. Watch the video and then complete the short form to order your free Minties sample. A Sam's Club membership number is required.